Ruskin Park is a beautiful public park, one of 68 open spaces maintained by Lambeth Council. We are an independent charity led by local people, working to preserve, protect and improve the park. We are currently growing three rare strains of heritage winter wheat (Miller’s Choice, Madeiran Landrace and Purple Naked Spelt), buckwheat and two varieties of broad beans on the top field of Ruskin Park. Celebrating traditional and organic methods of food growing, we are working with local residents to help show where our daily bread really comes from. Even in central London we can benefit from the joys of growing wheat! Our goal is to reintroduce heritage wheat into the local food chain, growing, harvesting, milling and baking it within Lambeth. We have a team of dedicated volunteers who meet to tend to the patch and this year have engaged with three local schools. 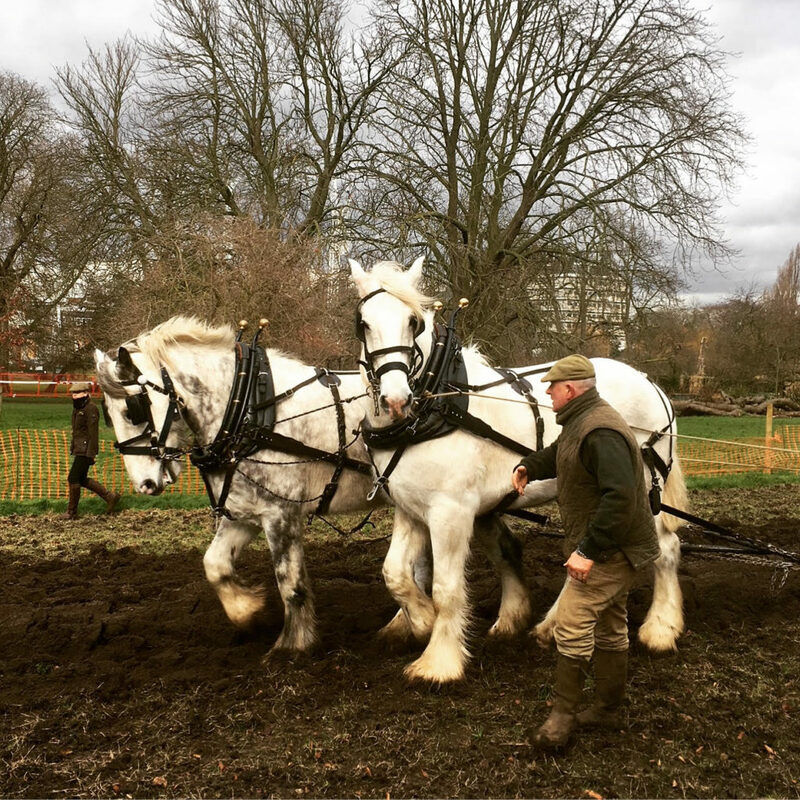 In February, we hosted two shire horses to plough and harrow the patch. Using horses is a sustainable and low impact way to cultivate parkland and it was a great opportunity to engage with the local community. Our growing season will culminate in a celebratory harvest festival in Autumn 2018. This innovative volunteer project is a partnership between the Friends of Ruskin Park, the Friends of Windmills Gardens and the Brockwell Bake Association.